SHW returns to The Action Building January 1st with an 8pm bell time. SHW returns to The Action Building December 7th with an 8pm bell time featuring Kiera Hogan, Ray Fury, Alex Cruz, and Jimmy Rave. 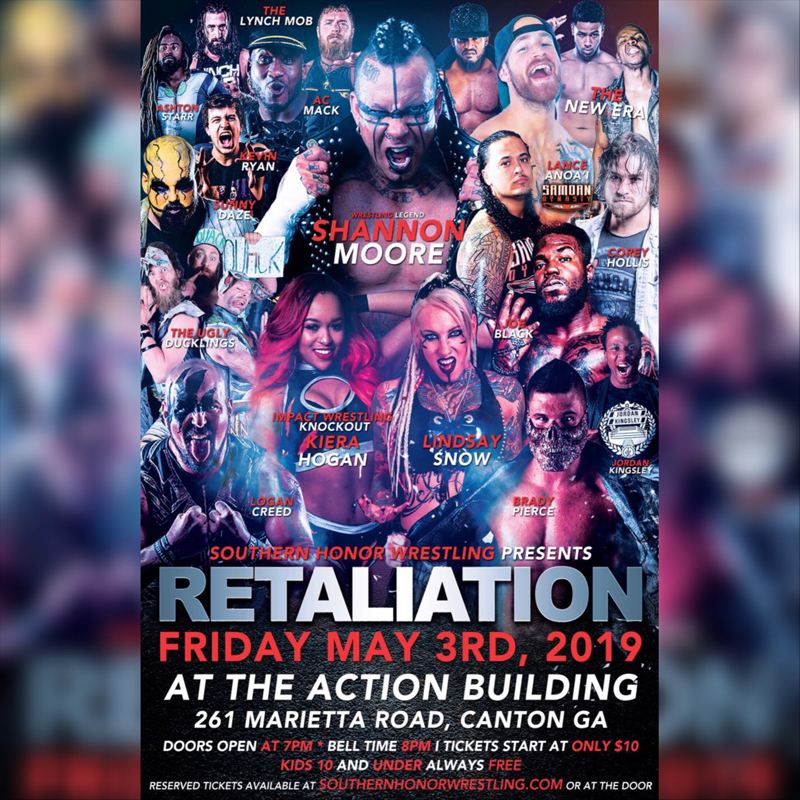 SHW is the premier wrestling promotion in Georgia. Known for it's high production, talented performers and overall experience, SHW will change the way you think of the independent wrestling scene.